Alderman Brendan Reilly wants help to protect the marquee Chicago neighborhood he serves as a legislator from wild teens. Reilly, who's 42nd Ward encompasses the Magnificent Mile where hundreds of teens ran roughshod on Saturday night harrassing subway riders and making shoppers and tourists uncomfortable, said in a statement Monday that he wants a meeting with Police Superintendant Garry McCarthy to discuss future precautions. "While we should always praise our officers for excellent police work resulting in arrests, it is just as important to prevent these crimes from occurring in the first place," Reilly wrote. "This is why it so important for the Police Department to assign additional, high-visibility resources to our downtown commercial corridors during the warm weather months - especially at the start of the season." The Alderman said in his statement that nearly 400 teens had organized themselves using social media and text messages to descend on area surrounding the Chicago Red Line station -- as well as aboard the train -- to carry out what are referred to as "wilding" attacks. Earlier Monday, McCarthy said the teens were not organized, and that police responded immediately to the disturbances. Reilly agrees with the response time but says he wants more. "Unfortunately, a swift, professional response to these incidents is not enough. We need increased police presence and visibility in the Central Business District during the warm weather to prevent these events from occurring in the first place. My goal is to meet with Police Department leadership this week for the purpose of securing a permanent commitment of enhanced police resources (and visibility) during the warm weather season, to help keep downtown Chicago a safe place to live, work and visit." Supt. 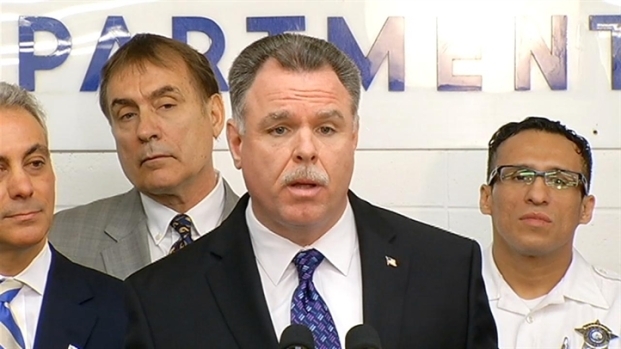 Garry McCarthy talks to NBC Chicago's Stefan Holt and Daniella Guzman about the weekend's violence on Michigan Avenue.